Posted March 13th, 2019 at 9:46 pm | Log in to reply. 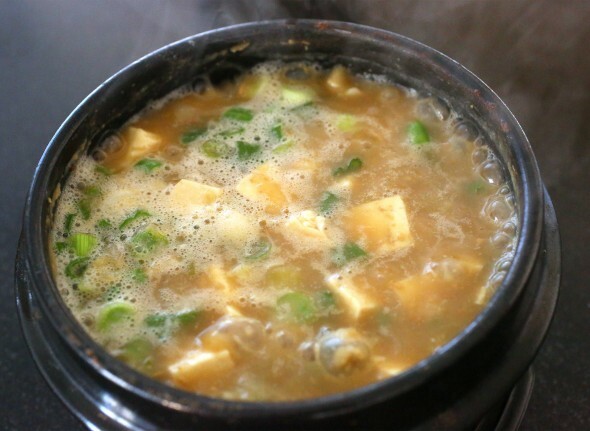 i live in a small town so i can’t get my hands on some doenjang, i wonder if i use japanese miso it’ll work? Posted January 14th, 2019 at 11:17 pm | Log in to reply. I made it one time before using another recipe but it had a really weak and bland flavour, then luckily I found this and could modify it the next day! It had so much flavour, and my Korean boyfriend said it tastes just like his mom’s 된장찌개! I used the water I cleaned the rice in when cooking the soup, and it turned out so nice after a fair while of boiling. Can’t wait to make it again! Posted January 1st, 2019 at 2:49 pm | Log in to reply. Posted January 13th, 2019 at 6:06 pm | Log in to reply. Posted January 13th, 2019 at 10:24 pm | Log in to reply. Yes, of course – thank you! Posted February 27th, 2019 at 8:17 am | Log in to reply. You can print any of my recipes by choosing “Print” in your web browser. The recipe will be formatted nicely for printing. Posted September 16th, 2018 at 12:54 am | Log in to reply. Made this for lunch. I left out the zucchini and used pork instead of shrimp. For the anchovy stock I used the dashida (다시다) powder instead of actual dried anchovies since the strainer/infuser I ordered online has not arrived yet. I let my neighbors taste some and they said they love the flavor. Posted September 23rd, 2018 at 9:33 am | Log in to reply. Posted July 30th, 2018 at 12:26 pm | Log in to reply. Posted May 9th, 2018 at 5:36 pm | Log in to reply. As we can’t get fresh anchovies easily here, I would use “ikan bilis” – dried ones, or Korean dried anchovy powder – which I use in my Kim chi recipe. Also, my tendency would be to drop the raw prawns in at the last minute, once everything is cooked, then switch off the heat. This ensures they remain crunchy without being too tough. But this is just my personal take on what looks like a beautiful recipe – will try it soon! Posted May 9th, 2018 at 5:29 pm | Log in to reply. As we can’t get fresh anchovies here, I would substitute some ‘ikan bilis’ (dried anchovies sold in Asian stores) or a couple teaspoons of Korean dried anchovy powder (which I use when making kimchi). Also, my tendency would be to drop the prawns in once everything else is cooked, then switch off the heat, so that they don’t get too tough. But these are just my thoughts and a variation on the above theme! Posted January 17th, 2018 at 1:16 am | Log in to reply. I love this stew. My only advice is to push the doenjang through a small sieve/strainer because I don’t like the pieces of beans and shells in my soup. 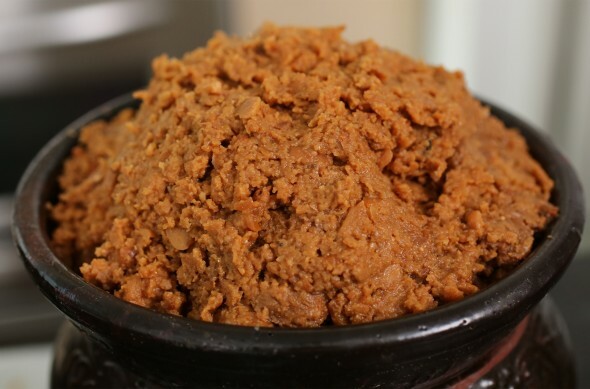 Doenjang does have a natural sweetness so for more balance some gochugaru is a must. Seafood is very popular with this dish such as small clams. You could use canned clams but I prefer it without. Multigrain rice is my favorite with this soup. Posted December 28th, 2017 at 8:08 pm | Log in to reply. Posted December 16th, 2017 at 7:46 pm | Log in to reply. This was super delicious with chili pepper kimchi! Thank you Maangchi! Posted December 16th, 2017 at 9:57 pm | Log in to reply. Posted November 15th, 2017 at 7:00 am | Log in to reply. I’ve made this twice now! 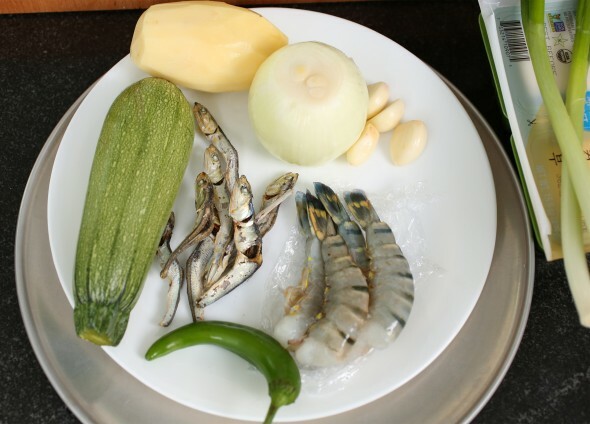 I just use anchovy-kelp stock for the liquid, and I add shrimps and scallops at the end. It wasn’t spicy enough for me the first time I made it, so the second time, I added a chopped serrano pepper along with the Korean green chilis. I had assumed that Korean chilis would be really hot…I was surprised to eat a slice of one and find that it was sweet and tasted kind of like a green bell pepper, not spicy! Delicious on its own though. The serrano gave the jjigae and really nice heat, but not too overwhelming. Posted September 11th, 2017 at 9:57 pm | Log in to reply. I made this tonight with what i had on hand. only modifications were 1/2 pound beef instead of anchovies, Okra instead of Zucchini, and vegetable stock instead of water. This was amazing. I love it so much. Thanks Maangchi! Posted September 14th, 2017 at 8:58 am | Log in to reply. 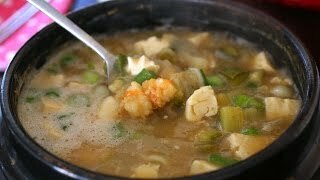 I’m interested to see how okra tastes in doenjang-jjigae. Maybe I will try it out! I also sometimes use beef instead of dried anchovies! Posted June 5th, 2017 at 11:10 pm | Log in to reply. Thank you for the recipe! It turned out great! Posted June 9th, 2017 at 12:46 am | Log in to reply. 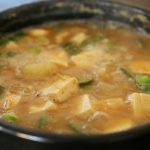 Rice, kimchi, and doenjang-jjigae! It’s better than anything at any fancy restaurant, isn’t it? Posted April 30th, 2017 at 6:11 pm | Log in to reply. Got a wonderful dolsot for my birthday and the first thing I had to make in it was doenjangjjigae. Bibimbap is to follow. Thank you Maangchi for constantly inspiring me to cook. Posted April 30th, 2017 at 6:12 pm | Log in to reply. I actually added egg to mine and it turned out wonderfully. Posted April 26th, 2017 at 6:31 pm | Log in to reply. The video was watched 1,384,201 times on YouTube & has 20,324 likes!